Circular outline. 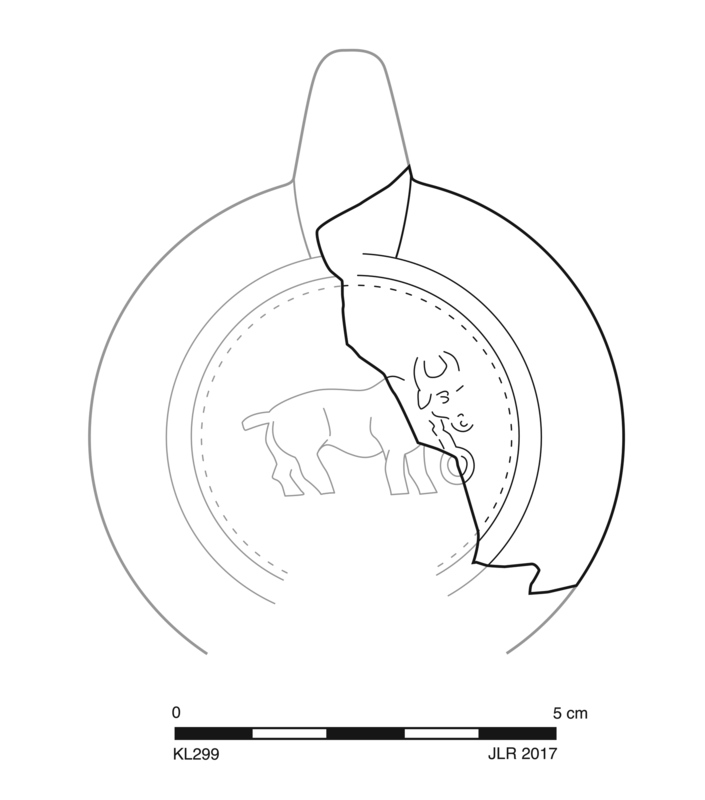 Circular, deep concave discus has relief depicting buffalo advancing right with ring hanging from neck and wide, somewhat flattened framing ring. Sloping to rounded, plain shoulder. Ring handle attaches part way down back wall to base. 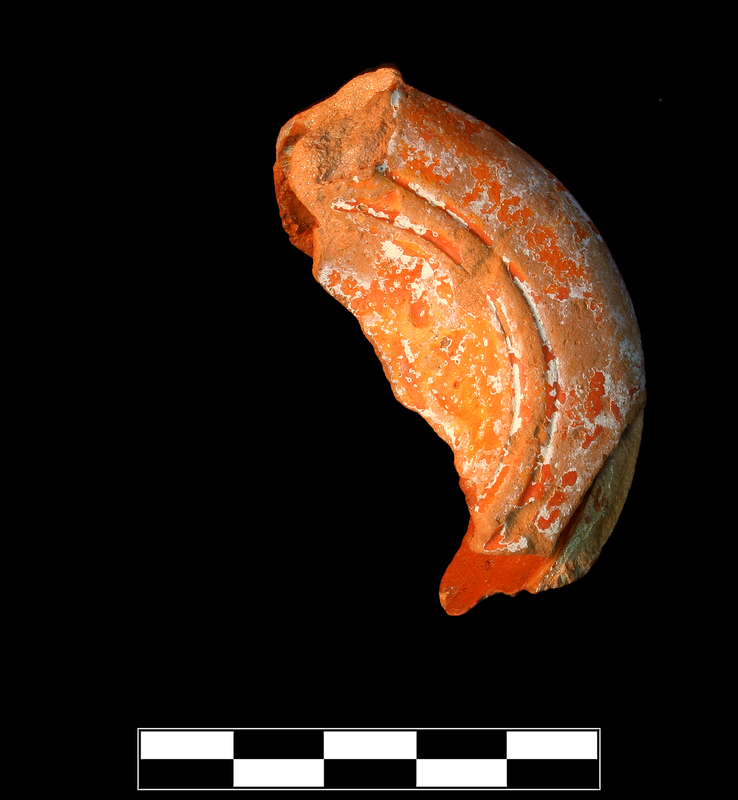 Flat, circular, slightly raised base. Fabric: 2.5YR 6/6, light red. Slip: 10R 5/8, red. White underslip. Typical “Ephesian” fabric. Semiglossy, thick, mottled slip, flakey, extends inside over upper wall. Two joining fragments preserve less than one half of discus, roughly two thirds of shoulder, and small part of base. Slight, sparse abrasion; slight, extensive encrustation.